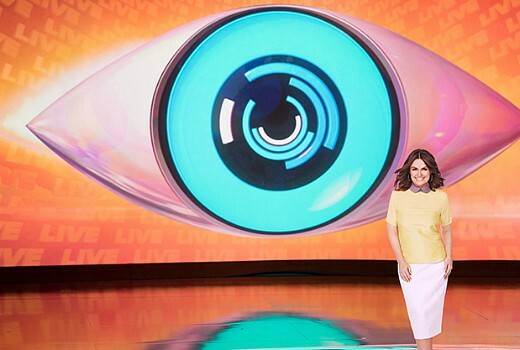 Big Brother is returning to TEN with Lisa Wilkinson as host. It will kick off the network’s 2019 ratings year with CBS ordering the series to replace I’m A Celebrity Get Me Out of Here. In a win for true believers, TEN is also returning the series to its core, with a stripped nightly show, Sunday evictions, Big Brother Up Late on ELEVEN and 24 / 7 ‘webcam’ streaming. Unlike Nine’s “family friendly” revival in 2012, TEN is promising ‘adult’ content in an MA timeslot. CBS honcho Armando Nunez sealed the deal with Queensland Premier Annastacia Palaszczuk during a flying visit last week. The show’s return to Dreamworld marks another feather in the cap for the Gold Coast. The return of Big Brother will come 11 years after it ended on TEN, with a 3 season run on Nine from 2012-2014. Sources suggest it was always part of CBS’ master-plan to poach Lisa Wilkinson for the show’s revival, rather than The Project. “Now the bigger picture is clear. Wilkinson on The Sunday Project is actually a warm-up to Sunday night evictions,” a source tells TV Tonight. CBS will also use 24 / 7 “web-cam” streaming to launch CBS All Access in the Australian market. Fan favourite Mike Goldman is understood to be finalising a deal as Up Late host, fending off strong interest from HotDogs. “We’re baaaack baby!” he told TV Tonight. With its diehard fanbase, Big Brother is the network’s best shot to take the fight up to Married at First Sight & My Kitchen Rules. Sources say Peter Helliar attempted to rework Cram as a possible alternative, locking himself in the Dreamworld house and throwing brussel sprouts at Fitzy & Bree but execs were just not impressed. Update: April Fool’s thanks for playing again! I think they should consider bringing the show back however change the game to be more like the American format with only 3 episodes a week but with Friday night games, uplate and live feeds. The original Australian format just doesnt work because the public will evict the big characters and we will be left with the Ryans, Jades and Jamie’s. Yes I am obsessed haha. I actually believed that story, until I saw the April Fools’ part. I would not mind if TEN brought back Big Brother, but I still want I’m A Celebrity Get Me Out Of Here to come back. David, you got me this year – I took it hook, line and sinker. The reason being, nothing in TV right now would surprise me. The most bizarre decisions are being made and from people you expect better from. Phew – so glad this was a joke (Joyce). This would have been so good. Please bring it back ch10! Doesn’t have to be with Lisa. Don’t know if Gretel would be up for it again but they could also have one of the OG housemates as host! Got me, too. It says a lot about the sort of hijinks we expect from Channel 10, that this was so easily believable! oh how I wish this was true. Good April fools joke though. You sure Had me fooled right to the very end,Good one, David! Good to see Lisa has a good sense of humour and cracked a joke about it tonight on The Sunday Project. Well done David! Clearly everyone wants it back. we want the channel 10 version of the sow back.. not the watered down channel 9 version. Got me! Good one, first time suckered by April fools joke in many years. I remember one about 25 years ago on Ten Eyewitness news where they talked about a new grass that never needed mowing!!!! No but it is biggest this year, already twice the previous. To annoying to ask what the record title is ? Haha love your work, David. Still, judging by the comments, there are a lot of people who would love to see Big Brother back. Oh buggar got me hook line and sinker this morning! Even sent a message to my Son just to hear him groan ‘ugghhhh oh no not another Big Brother’! A very good April Fools, wish it were true though ! We definitely won’t be watching it. It’s because we want to believe it!!! Oh, damn you, I was ready to write a huge thing about what a horrific step down this is for Lisa! Your headlines get me every year, David. I seem to forget that it’s April 1st when I check in here on April 1st.